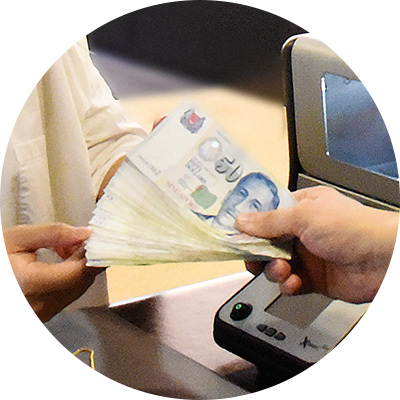 Selling gold to GoldBuyers Singapore is as easy as 1-2-3. You can visit us at 45 New Bridge Road at your convenience to have your gold, silver and platinum valued free of charge. How do you value my Gold, Silver and Platinum? The gold value depends on the gold price, purity (also called karat) and weight of your gold. Silver and platinum is valued in the same way. 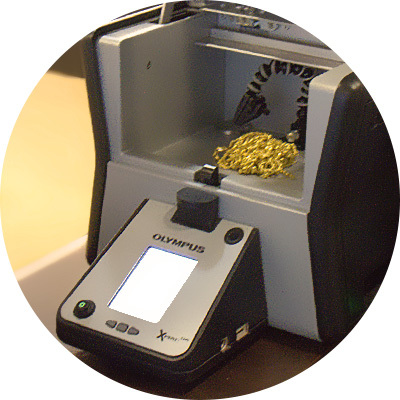 When inspecting your gold, silver or platinum items, non-destructive testing equipment such as X-Ray Fluorescence analysers are used to determine the exact purity of gold, silver or platinum contained in your items. GoldBuyers uses government approved calibrated scales to ensure that you get the right price for your gold, silver and platinum. Based on the gold price, purity (karat) and weight of your item/s, GoldBuyers quotes you a price. We pay for your Gold, Silver and Platinum right away! We pay in cash, by cheque, bank transfer or bitcoin. It's up to you how to get paid. We guarantee that the quoted price is the best price in Singapore for selling gold. All purities and karats are welcome. We also buy silver and platinum such as silver jewellery, silverware, silver coins, silver bars, platinum rings etc. How can I be sure that I get the best price for my gold? GoldBuyers is buying and selling large volumes of gold and we can thus pass on our savings to you, the customer, by offering a high price for your gold. 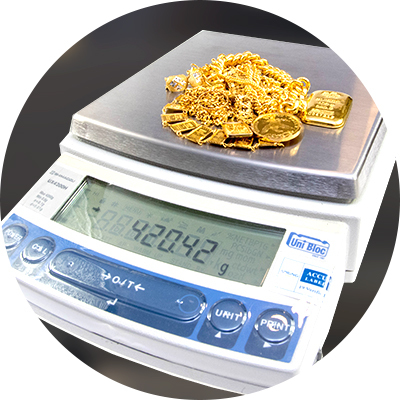 All gold is weighed on sensitive and calibrated scales to ensure that the gold weight is correct. We are so confident that we offer the best price for gold in Singapore that we guarantee it with our Best Price Guarantee! Do you charge for valuation? No, we don't charge for valuation. You get paid instantly. You can choose to get paid instantly on the spot in cash or by cheque. We can also transfer the funds to your bank account if you so desire. How much do you pay for my gold? You can always value your gold with GoldBuyers Gold Price Indicator online. Simply select purity (karat) and weight to get an indicative price. Do you pay extra for diamonds or gold watches? GoldBuyers values and buys precious metals based on metal value only. We do not pay extra for diamonds, unique features or distinctive design characteristics of an item. Contact us to find out how you can partner with GoldBuyers to sell your gold and silver for a preferential price. GoldBuyers is a BullionStar Division. © 2018 GoldBuyers.